Sitting like Maria Clara in a polished wooden chair, with eyes not wanting to blink and with mouth slightly open – being amazed on how a century old house still stands magnificently and how it has preserved most of its interior, then thinking curiously what the walls of this stone house could possibly have witnessed in the past 100 years, sensing the breeze rushing through the wide windows, while relaxingly staring at the leafy branches of the trees along the river nearby, gasping the oxygen-loaded air, and taking an even deeper breathe to catch the inviting aroma of a warm bowl of pancit molo served by Manang Bebing, being distracted by the drums beating from the neighbourhood, then in a snap, being drawn back to the sweet smell of the hot chocolate, making you close your eyes and smile – this is “The Camiña Experience”. I had a hard time writing about it, not because I did not know what to say but because I did not want to broadcast the heaven on earth I have discovered and just keep it all for myself. J But then again, it brought me so much bliss, that I thought I owe it to the place and it deserves to be shared. 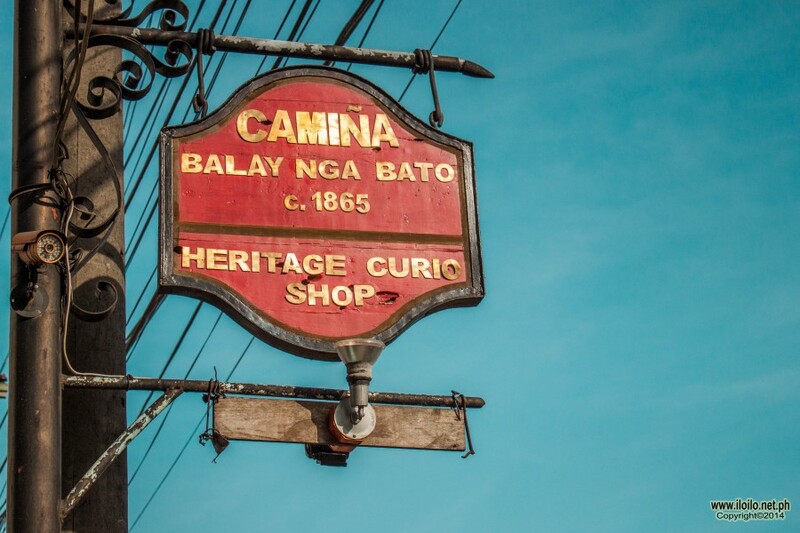 Camiña: Balay nga Bato is an ancestral house, a well preserved heritage and currently owned by Director Gerard Camiña, from the fourth generation of the Avanceña Family and his wife Mrs. Luth Saludes Camiña. The stone house is down Osmeña Street in Villa de Arevalo Iloilo City, next to Panaderia de Iloilo. It is just along the road, very accessible and guests are welcome everyday from 9am to 6pm. 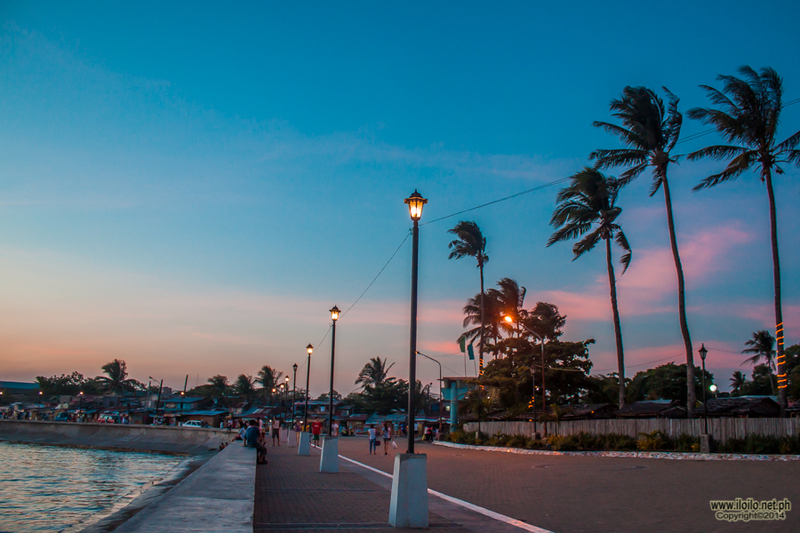 You can take a jeepney or a cab and ask to be dropped before Panaderia de Iloilo. Built in 1860, it was the humble abode of Fernando Avanceña with his wife Eulalia Abaja. Patterned after the bahay kubo or cube house, it was made of board walls and have a nipa and bamboo roofing. To provide a very stable foundation, there are a total of 24 tree trunk pillars called haligis. It was also a status symbol during that era, the more trunks your house has, the wealthier the family is. Originally, there was nothing beneath the house but the lower ends of the pillars. Later on they added walls made from river sand and lime stone, giving the walls a sturdy appearance, thus called Balay nga Bato. To maintain the house that has undergone years and millions of pesos to be resorted, they have an entrance fee of Php150 which includes the house tour, unlimited hot cocoa with a bowlful of toasted bread and other delicacies you can dip to their home made “tsokolate”. 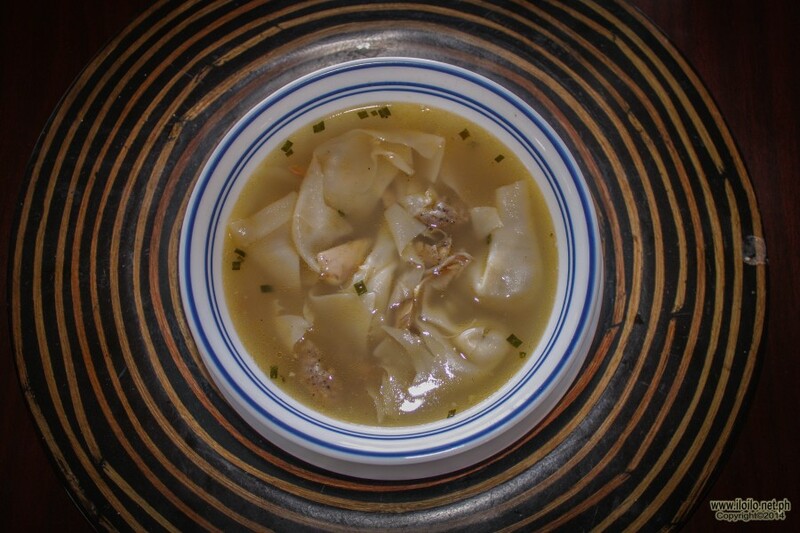 With an additional of Php 50, you can have a bowl or even a second round of their mouth-watering pancit molo. On the ground floor is what they call The Almacen, Spanish term for a store or warehouse. 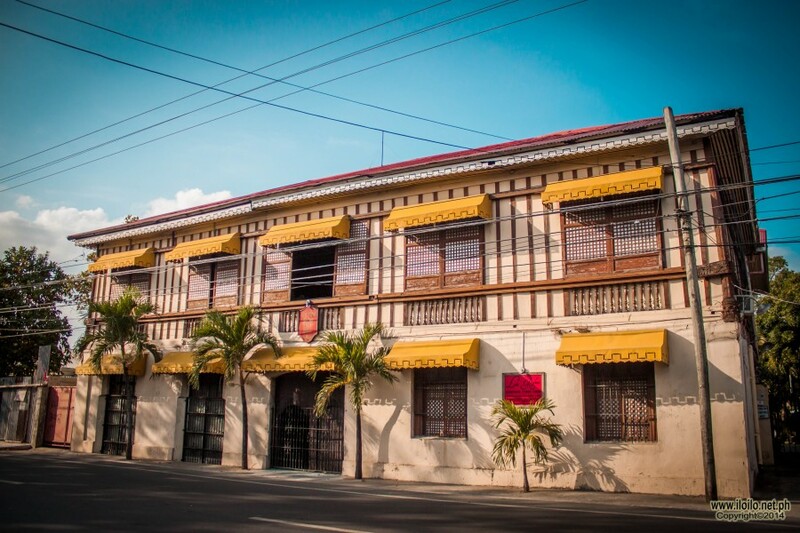 As you enter the Almacen you will be greeted by a functioning grand piano, which is the oldest piano in Iloilo. The store is also known as the Lola Rufina Curio Shop in remembrance of the late Lola Rufina from the second generation. 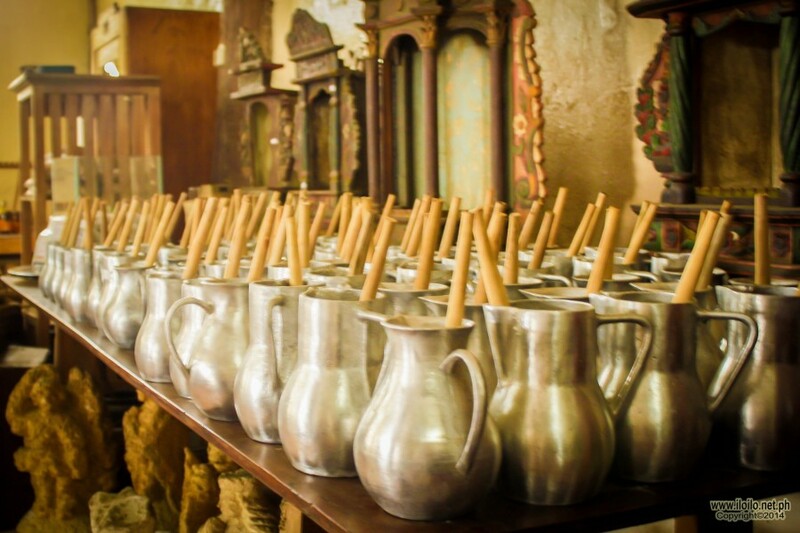 Inside, you can see and buy all kinds of modern and antique handmade or de mano crafts and food. 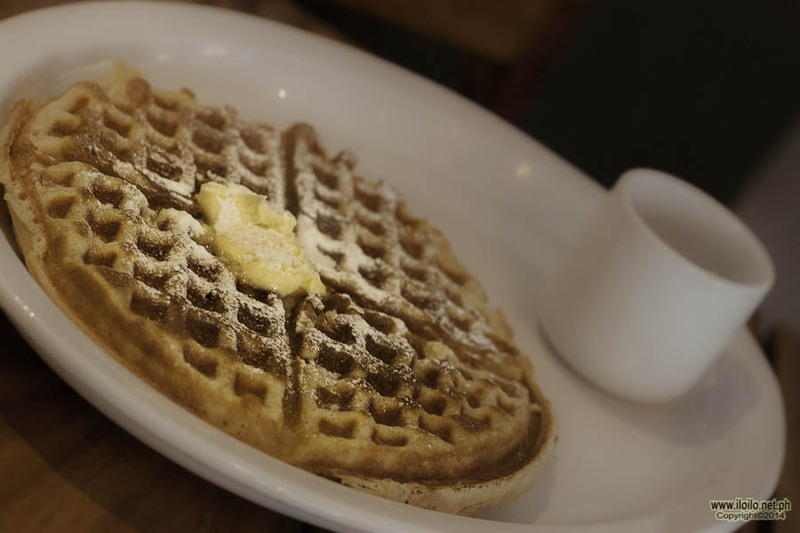 There are cast iron chocolateria specially made to cook the tableya, homemade chocolate. Along with it is a batidor, a wooden stick used to stir the melting chocolate. 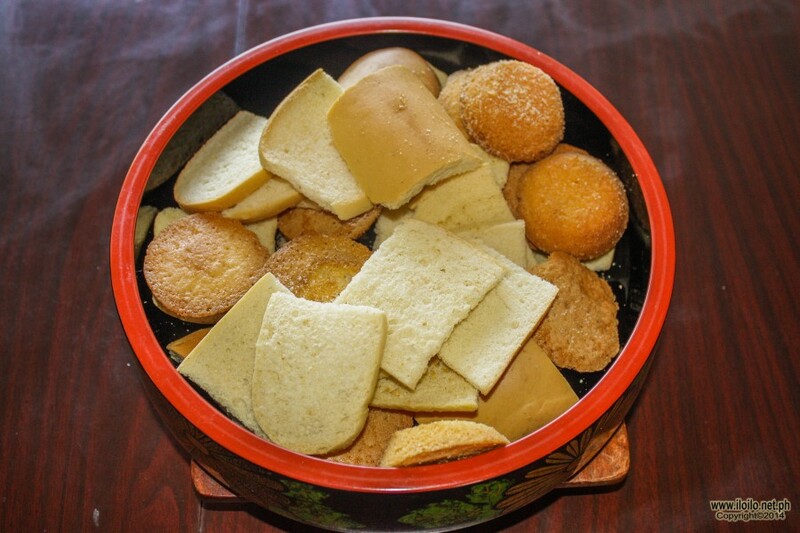 There are also Muscuvado sugar, salt made inside bamboos, red rice and jams made from papaya and ginger coming from the farm of the family in Guimaras. 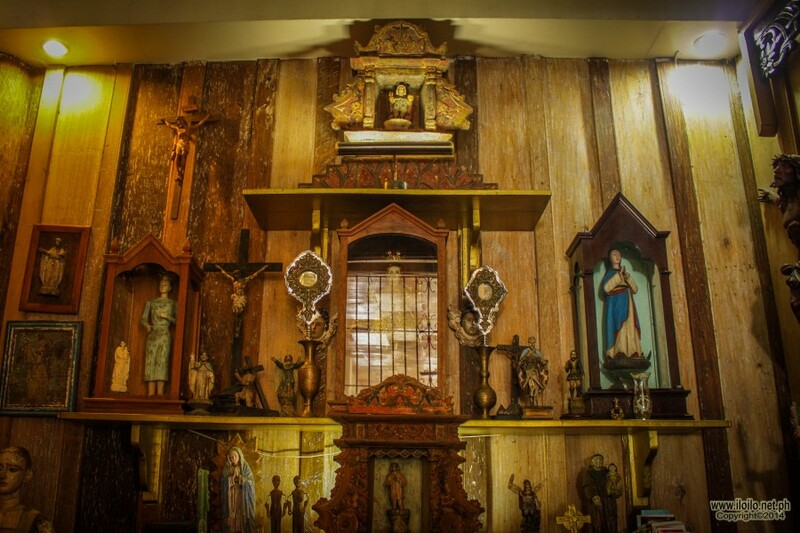 For the handcrafts, there are urnas, wooden stand frames for saints, pots from Isla Higantes, and coral stones and yellow sand carved into angels and other figures. 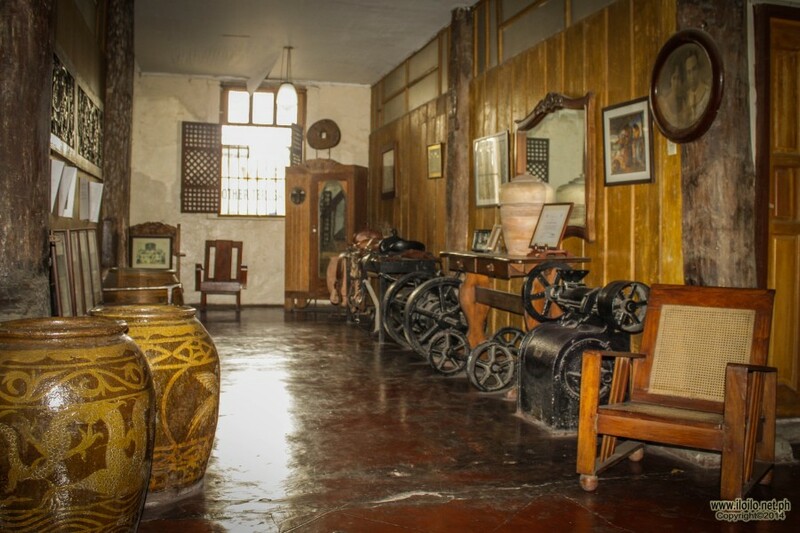 Since the family are initially known as a textile weaving family, they have hablon, which were made inside the premises. 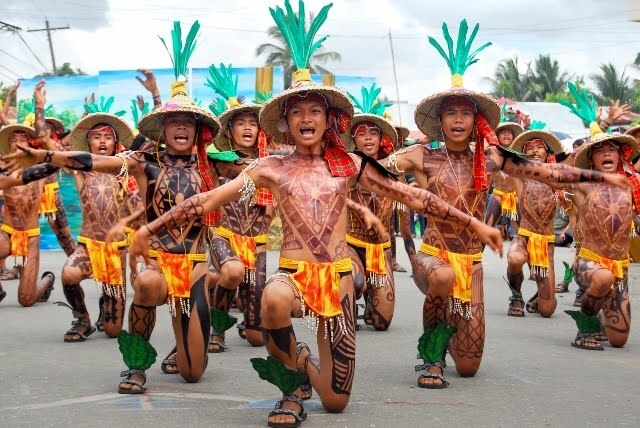 They also have ethnic costumes of Panay Bukidnon, a indigenous Visayan group in Tapaz Capiz. 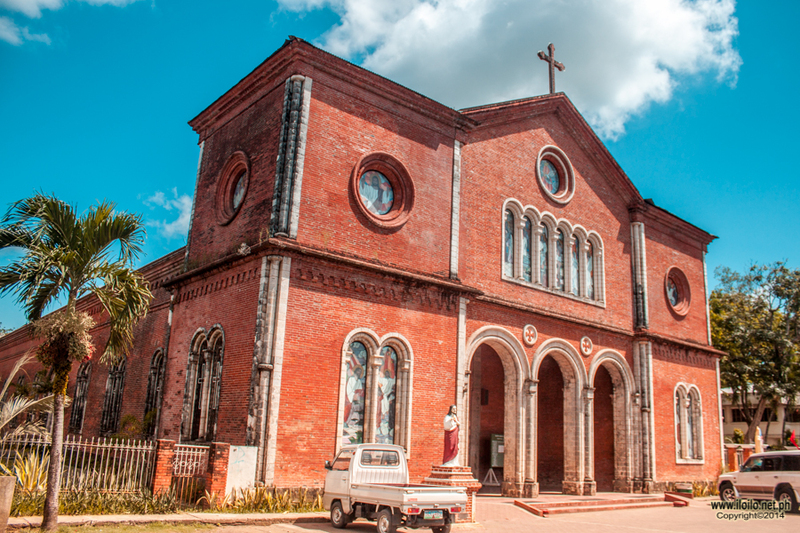 Displayed inside as well are antique saints from Cebu, authentic China, slippers, patadyongs, and shawls – all done meticulously by hand. On your way to the second floor, you have to climb up the grand staircase they call escalera principal -designed to be very steep as a protection against thieves during the olden times. At the uppermost end of the stairs is a Japanese-inspired two hardwood doors. On the second floor, you will see the oratorio, the family prayer room. On your left, is the sala mayor which embodies a “mestiza architectura” – a combination of architecture from different places. They have wide windows and ventilation system influenced by the Spaniards, Dutch ceilings with a touch of Japanese, French and English in their interior. On your right are the kitchen and the dining area which became my happy place. In one of the oval tables, I sat with my dear friend and enjoyed the sumptuous snacks they have prepared. 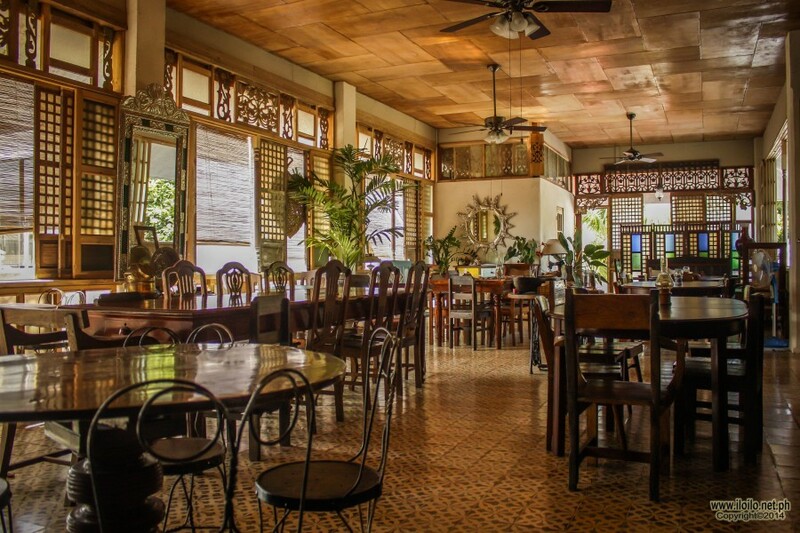 The management can also arrange a lunch buffet – all Ilonggo cuisine for families and groups of friends. I know I have already spoiled how great the place is but it is still different if you experience it yourself. 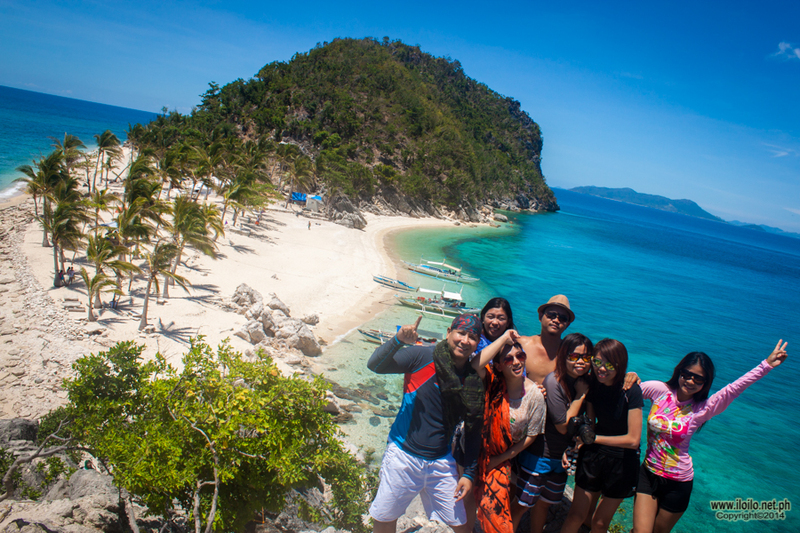 If you are a tourist hailing from another province or country, visit Balay nga Bato and have a glimpse of Iloilo. If you are a local and has never heard of it, it is never too late. You deserve to have the Camiña experience!